2017 Audi Q7 2.0 TFSI unveiled in the U.S.
Audi USA has officially announced that the 2.0-litre TFSI 4-cylinder engine will be offered on the new Q7. The 2017 Audi Q7 2.0 TFSI is scheduled to go on sale in the U.S. in early 2017. In an official release, Audi has stated that ‘the Q7 2.0 TFSI is faster, lighter and more efficient than the Q7 3.0T V6'. Audi hasn’t officially revealed if the Q7 2.0 TFSI will be offered in one or multiple trims. 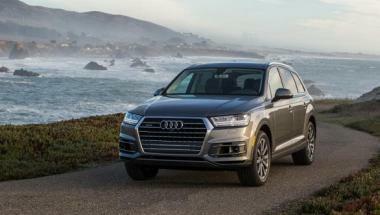 12017 Audi Q7 2.0 TFSI unveiled in the U.S.